My past clients have submitted their personal testimonials to several websites throughout the internet. You can view these testimonials by simply hovering over and tapping on the images of each website below. Questions? Comments? Requests? Get in Touch with David Valley. After I received my proposed (oil) heating budget plan for 2008, I knew I had to make my 200-year-old home more energy efficient, and fast. 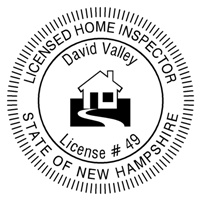 I found Massachusetts Home Inspections easily on the web, and requested an infrared thermal inspection to inform my efficiency decisions. David Valley was promptly available, showed up on time, and conducted a thorough inspection of my home, pointing out its (many) insulation defects and making valuable suggestions to make my energy dollars go much, much further. My written report was available 24 hours later, with good comments and photos, which I can use to guide my insulation contractor. The fees are reasonable and well worth it given today’s energy prices. If you’re as worried about managing your energy costs as I am, get an infrared thermal inspection from Massachusetts Home Inspections. I worked with Dave Valley closely this past Sunday morning as we reviewed every corner of our 3-story Victorian. We identified a number of areas which our insulation contractor had missed. We were also able to identify a number of areas in our home that I had concerns about, which turned out not to be issues at all. Our windows, for instance, are very tight, and need no work. The upshot is that when we have the insulation guys back, we will have a very specific punch-list of items for them to tighten up. Dave and his infrared camera take the guess-work out of making a home greener and more efficient. It was fun and instructive to work with him. We are more than happy with your thermal imaging service on our home. It is getting more and more rare to find service providers who perform their service efficiently, professionally, and on time. Your summary will allow us to follow up by insulating our cold spots with precision. You offer a valuable service to homeowners in New England.